Underrated and slow-developing story of the voyage of the keelboat Mandan up the Missouri River in 1832 to trade with the Blackfoot Indians. In other words, it’s a mountain man movie–the second best of that kind, after Jeremiah Johnson. The guide and hunter for the expedition is Zeb Calloway (Arthur Hunnicutt); his nephew Boone Caudill (Dewey Martin) and Boone’s friend Jim Deakins (Kirk Douglas) learn their way in the unopened west as they go along. 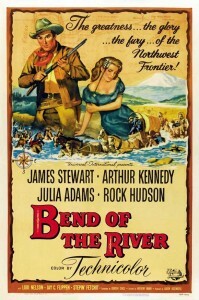 Frenchie (Steven Geray), the head of the expedition, intends to bypass the usual fur company trade channels and go directly to trade with the Blackfeet at the headwaters of the Missouri, a trip of 2000 miles from St. Louis. 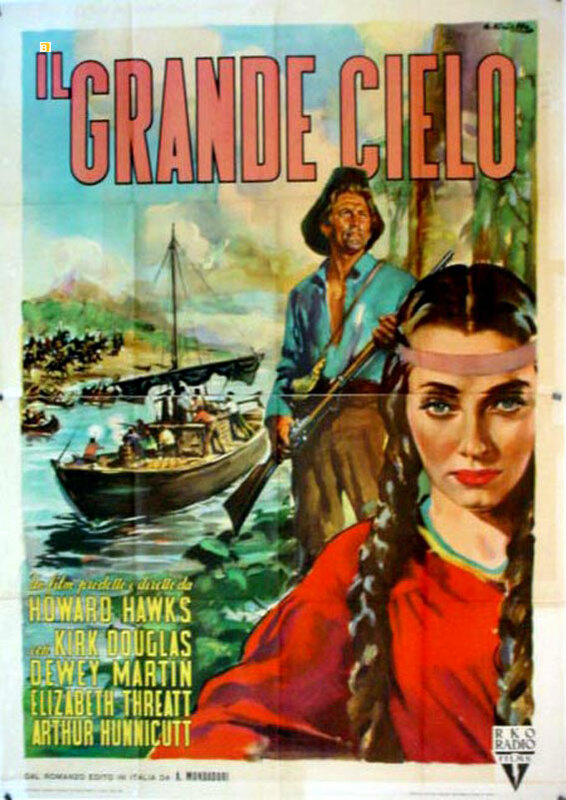 He is taking along non-English-speaking Teal Eye (half-Cherokee actress Elizabeth Threatt), a Blackfoot princess captured by the Crows and sold down the Missouri River, hoping she will facilitate trade with the otherwise hostile Blackfeet. 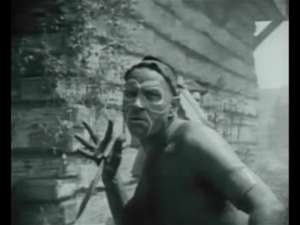 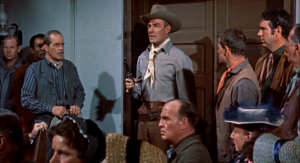 The expedition also acquires Poordevil (Hank Worden), an alcoholic Blackfoot who ends up being quite useful. Heading up the Big Muddy. On the way upriver the Mandan is attacked by fur company minions led by Streak (Jim Davis) and by Crow allies of the fur company. 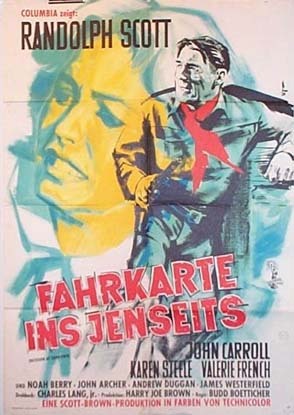 On the way Deakins and Caudill both develop relationships with Teal Eye, notwithstanding her initial hostility to Caudill and lack of English skills. 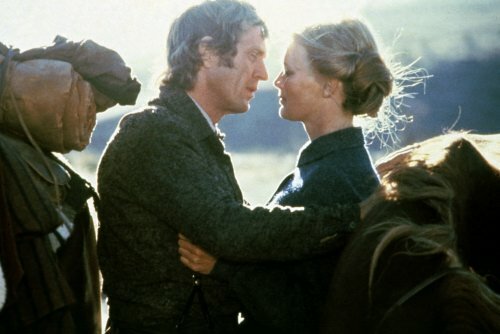 Aside from the conflicts with the fur company and Crows, the other questions are whether it will be Deakins or Caudill that Teal Eye will choose, and whether the one she chooses will stay with her or go back down the river. 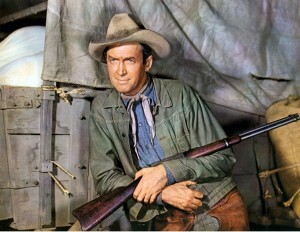 The best actor in this film is Hunnicutt as mountain man Zeb Calloway, and he also provides the voice-over narration. 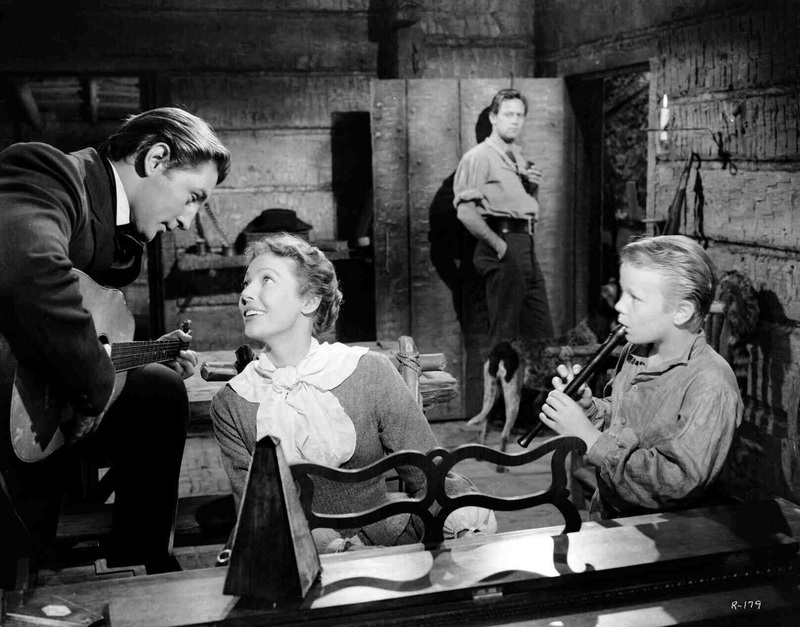 This may be his best role ever, and he is utterly convincing with period dialogue that could well seem highly artificial from another actor. 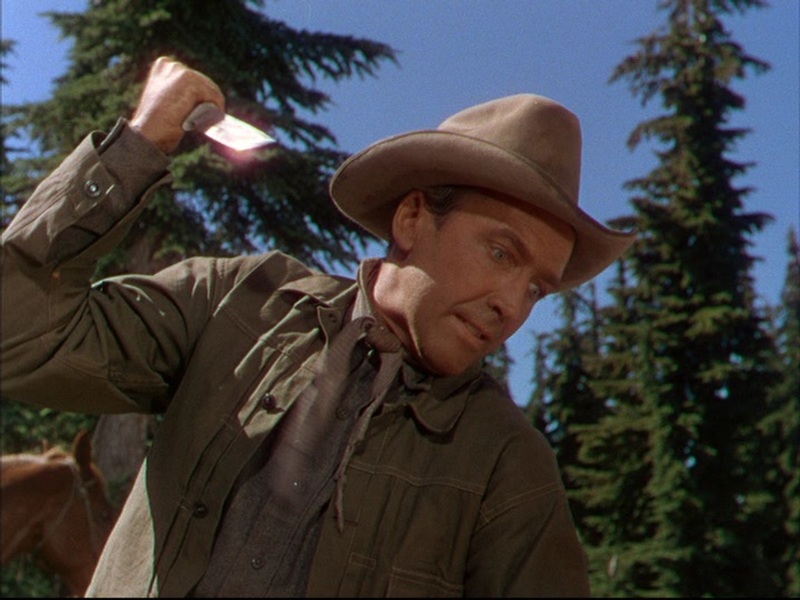 Kirk Douglas is the best-known of the stars today, and he is fine, playing the whole film with his hat pushed back on his head. 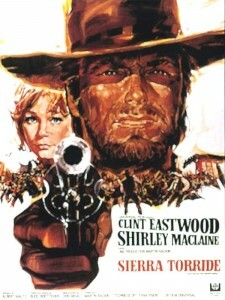 There are several reasons the film isn’t better-known today despite its top-of-the-line director and excellent quality. 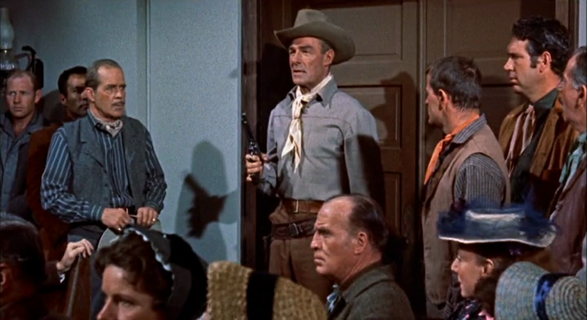 Two of the leads, Threatt and Martin, didn’t have notable movie careers, although they are good here. This was Threatt’s only film, and Martin had only a modest few good roles in the early 1950s before drifting into television work. 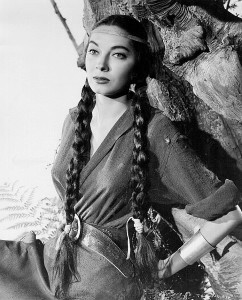 Elizabeth Threatt as Blackfoot maiden Teal Eye. 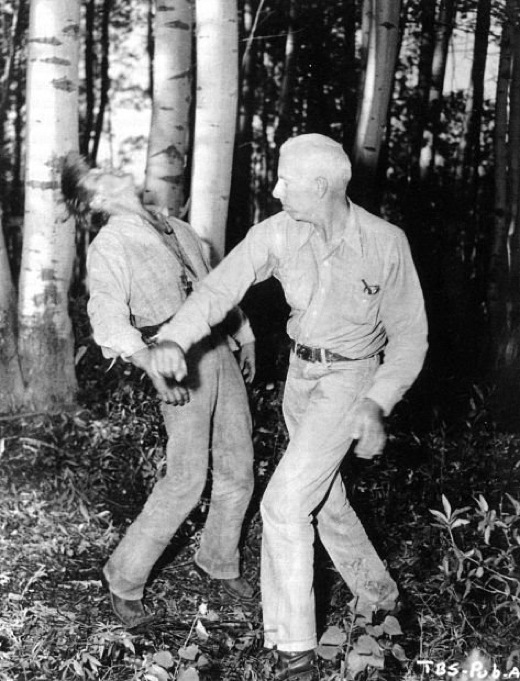 Douglas and director Hawks block out a fight scene. 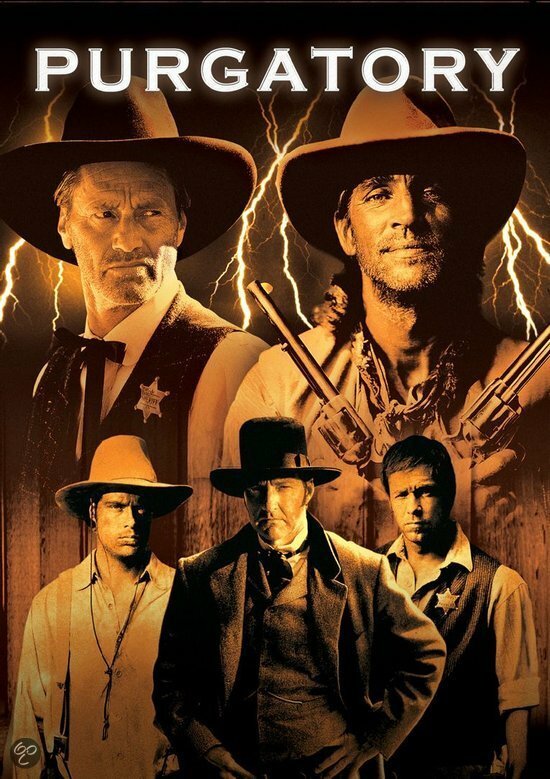 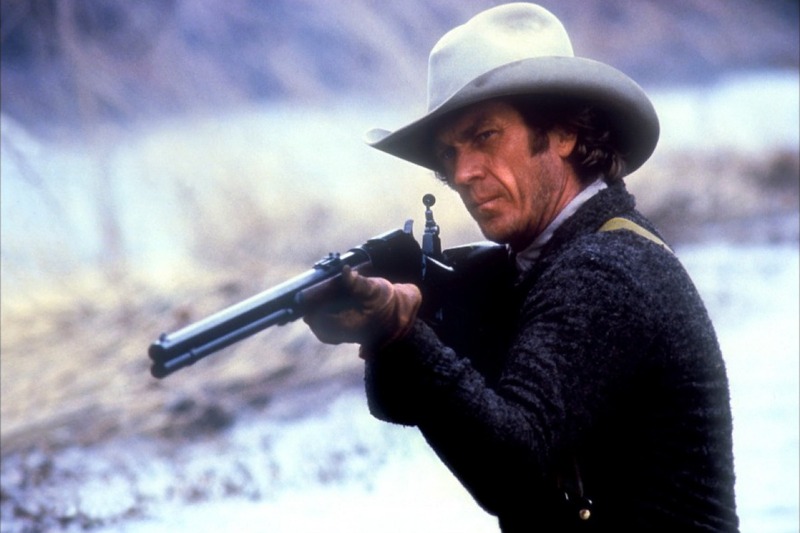 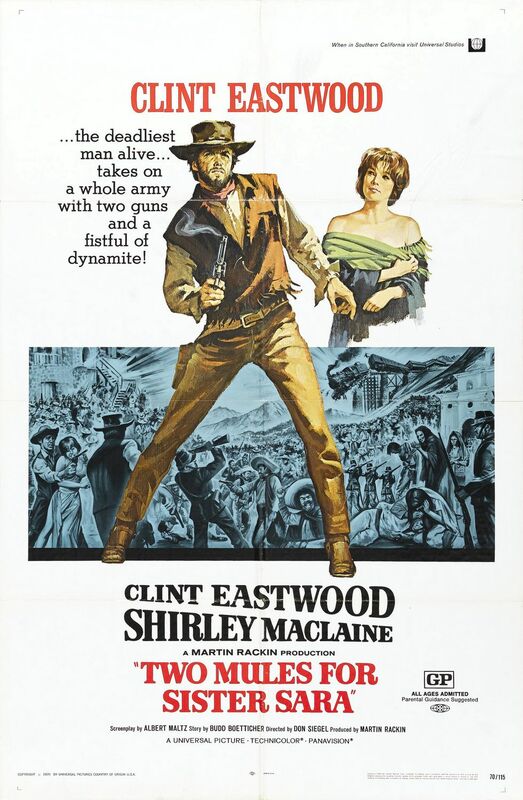 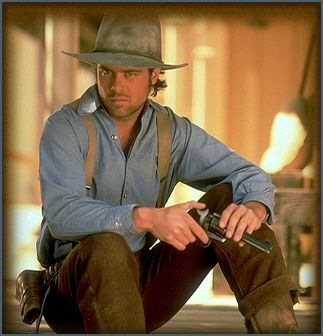 Another is that the movie was not shot in widescreen or color at a time when westerns with any scope or ambition (Shane, Bend of the River) were mostly shot that way. It was not particularly successful on its initial release. 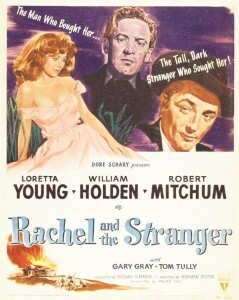 A little slow-paced at its original 141 minutes, it was later edited down to 122 minutes by the studio, and it is difficult to find a decent print of the extended version these days. That is what TCM shows, however, and the re-inserted material is of noticeably worse quality visually and in its sound. It is in need of restoration and is not available on DVD currently (2013). 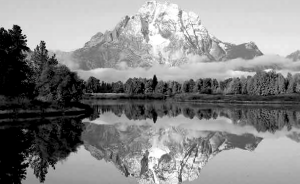 This was an expensive production shot on location in Jackson Hole, Wyoming–like Shane and Jubal. Hawks was both director and producer. 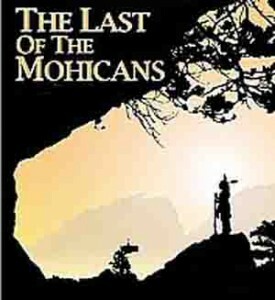 Based on a classic novel by Montana author A.B. 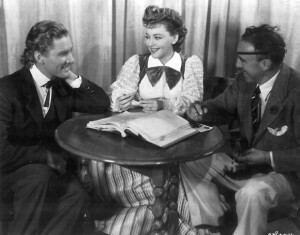 Guthrie, the screenplay was written by Dudley Nichols (Stagecoach et al.). 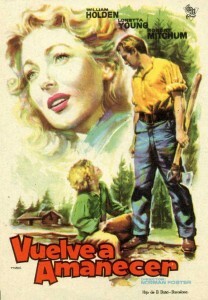 The music is by Dimitri Tiomkin. 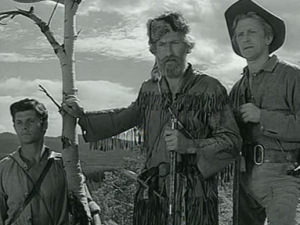 The black-and-white cinematography by Russell Harlan and supporting actor Hunnicutt were both nominated for Academy Awards. 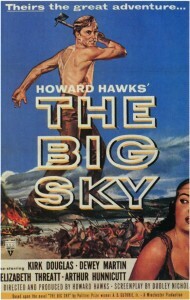 The novel is probably still stronger than this film. 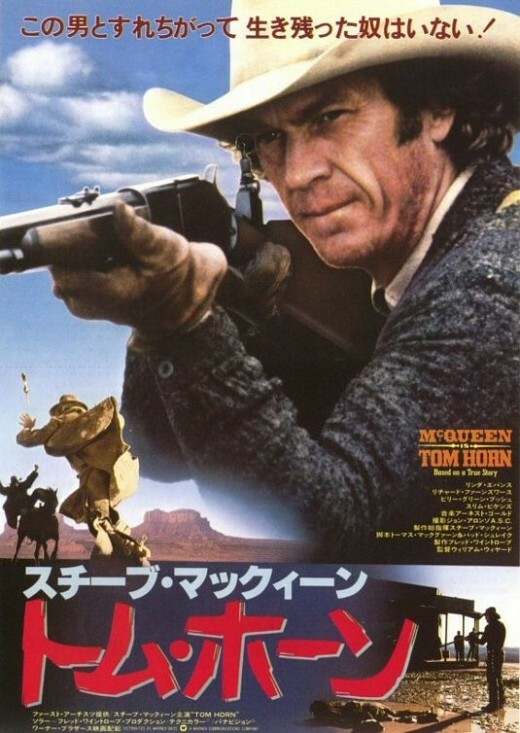 If it had been made a few years earlier (at the time of Hawks’ Red River, say, when color and scale expections were smaller), the movie would probably be regarded as a classic. 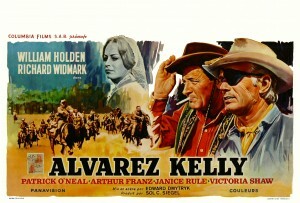 It’s one of Hawks’ three best westerns. 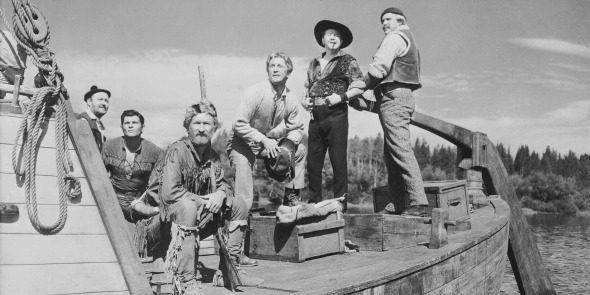 If you like Arthur Hunnicutt here, look for him in smaller roles in two other good westerns from 1950: Broken Arrow and Two Flags West. 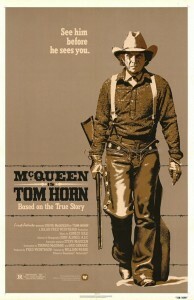 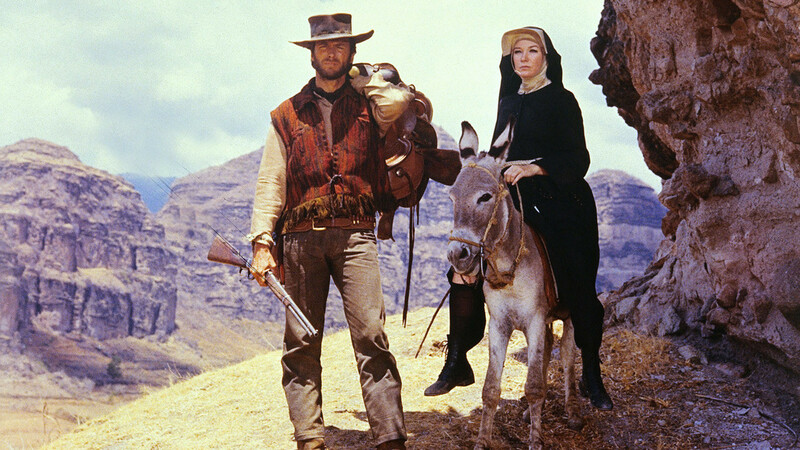 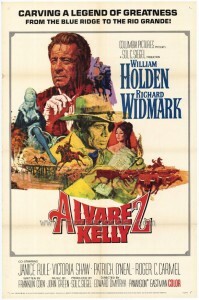 For other westerns based on novels by A.B. 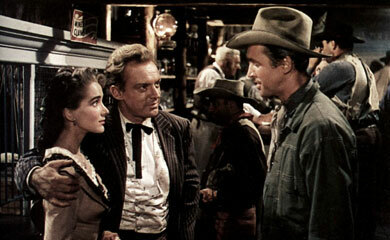 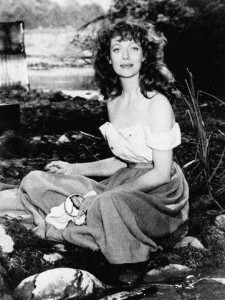 Guthrie, see The Way West, also with Kirk Douglas (1967), or the seldom-seen These Thousand Hills (1959). 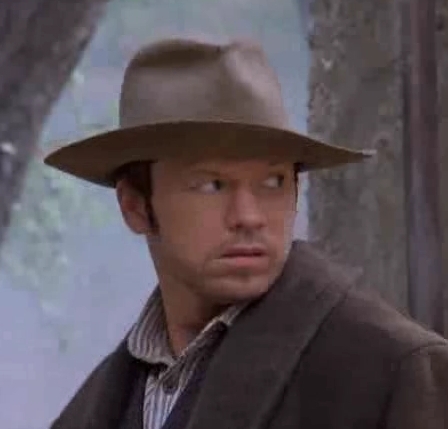 This is better, though. 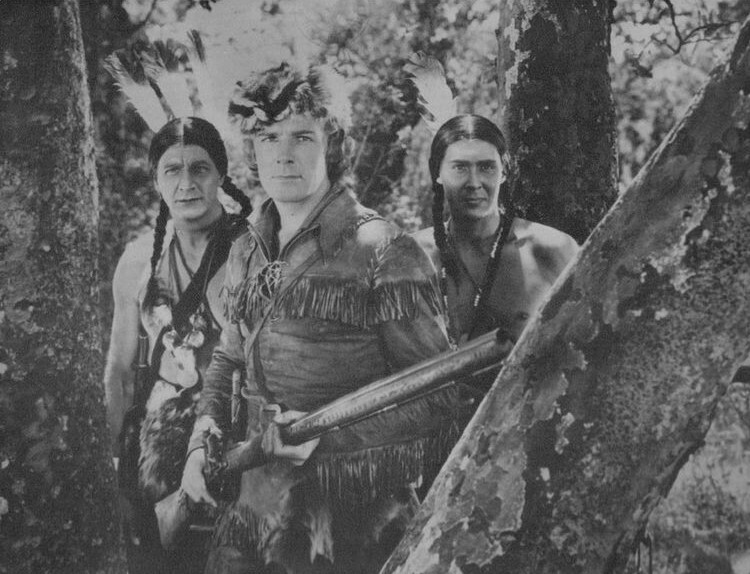 This entry was posted in Westerns Worth Watching and tagged Dudley Nichols, Howard Hawks, Kirk Douglas, Mountain Men, Native Americans (Indians) on November 29, 2013 by Nicholas Chennault. 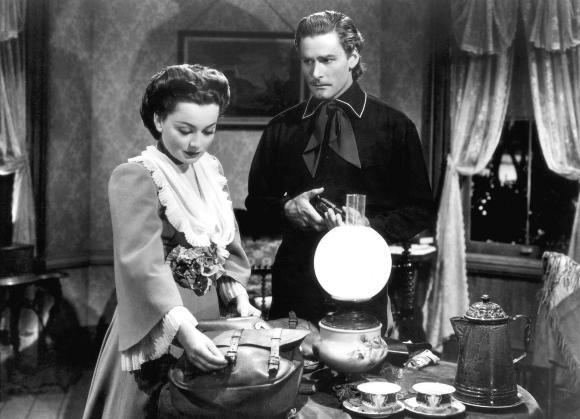 From the heyday of the Flynn-de Havilland partnership comes this old-fashioned, adulatory and not-very-factual biopic of George Armstrong Custer, depicting both his Civil War service and his demise at the Little Bighorn. 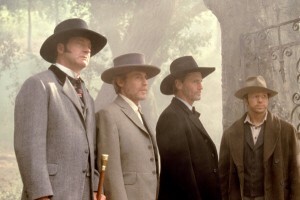 In fact, it was their eighth film in seven years and their last film together. 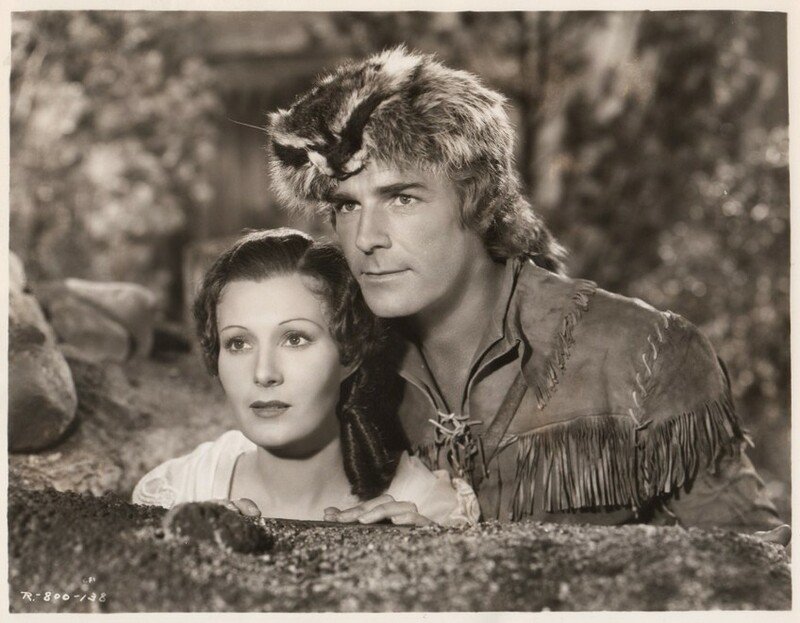 Errol Flynn in a mullet is Custer; De Havilland is his wife Libby. This was clearly a big budget production for its time, and it has a longer-than-average running time, too—140 minutes. 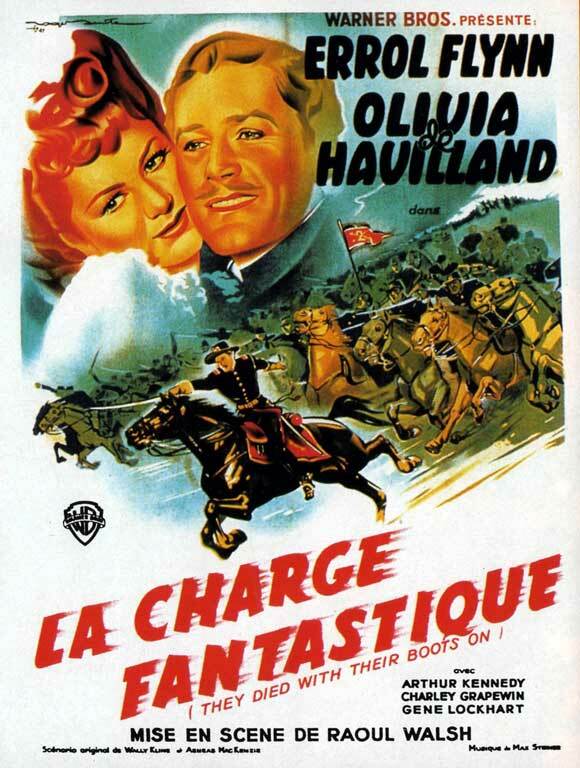 Flynn and De Havilland are watchable, but the plot neither makes much sense nor does it follow history very well. 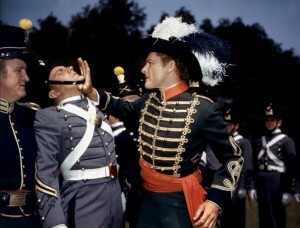 Plebe Custer doesn’t get along with Ned Sharp at West Point. 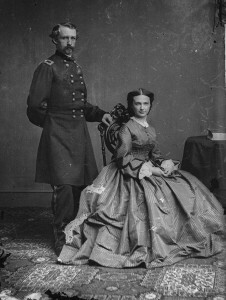 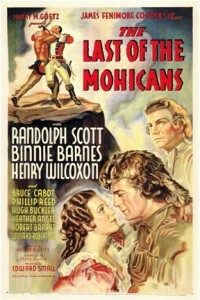 The first half of the movie shows Custer at West Point, doing badly, making it into the Union army during the Civil War as a cavalry commander, wooing and marrying his wife Elizabeth Bacon, developing a headlong and heedless attacking style and then becoming an Indian fighter after the war. 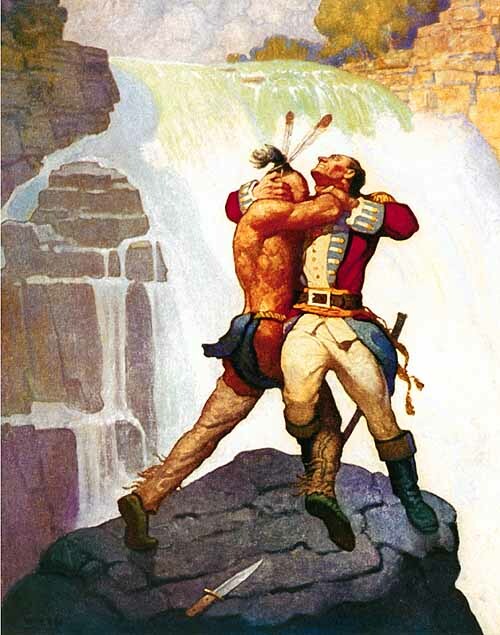 In the later portion of his career, it shows him fighting on behalf of the Indians against those dishonest whites who would sell them alcohol, not slaughtering them in search of further military acclaim. 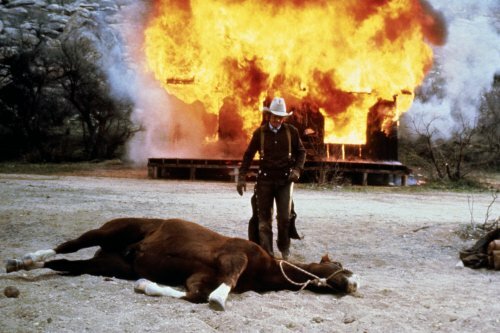 And, of course, in the end he dies with his entire Seventh Cavalry at the Little Bighorn. Taking a final leave of Libby before heading for the Little Bighorn. 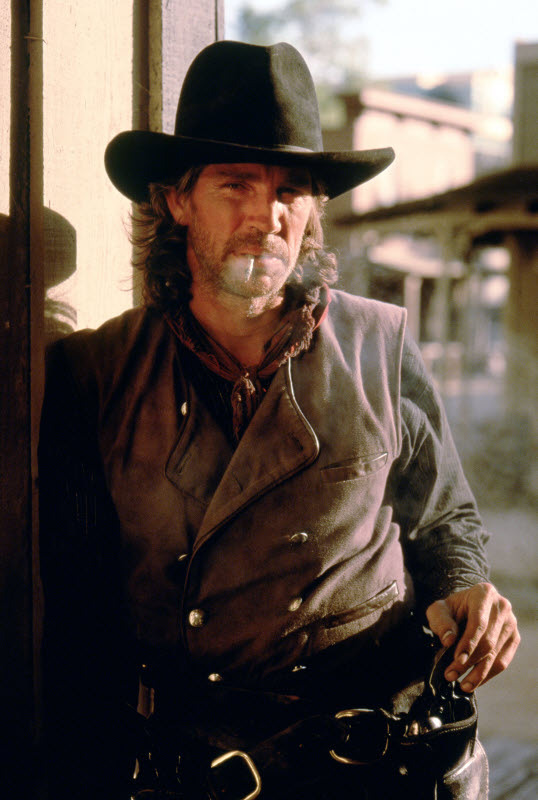 And Custer still doesn’t get along with Ned Sharp. 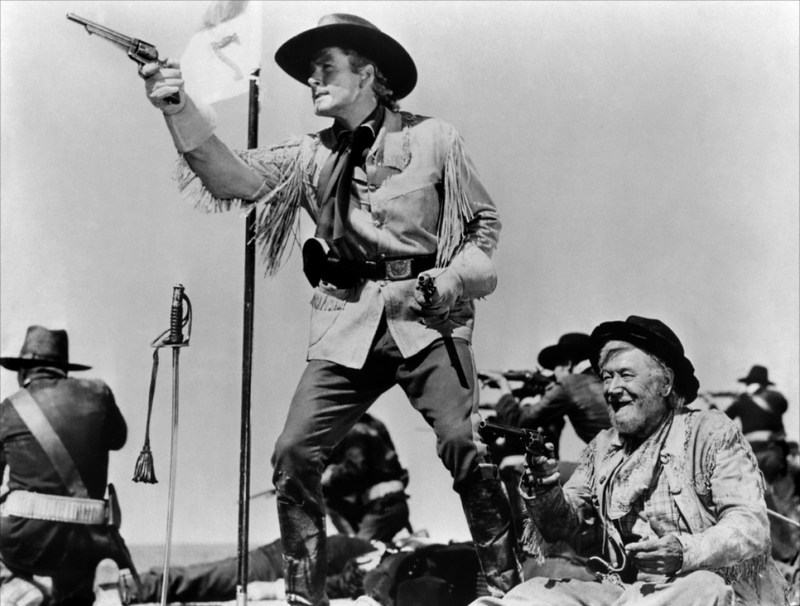 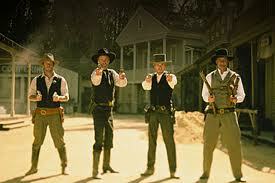 The historical Custer was a relentless glory hound without much scruple. 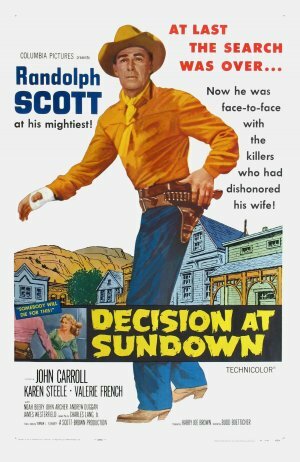 This film captures his headstrong quality but makes him out to be much more admirable and somewhat smarter than he actually was. 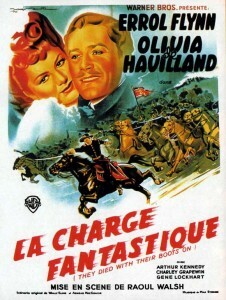 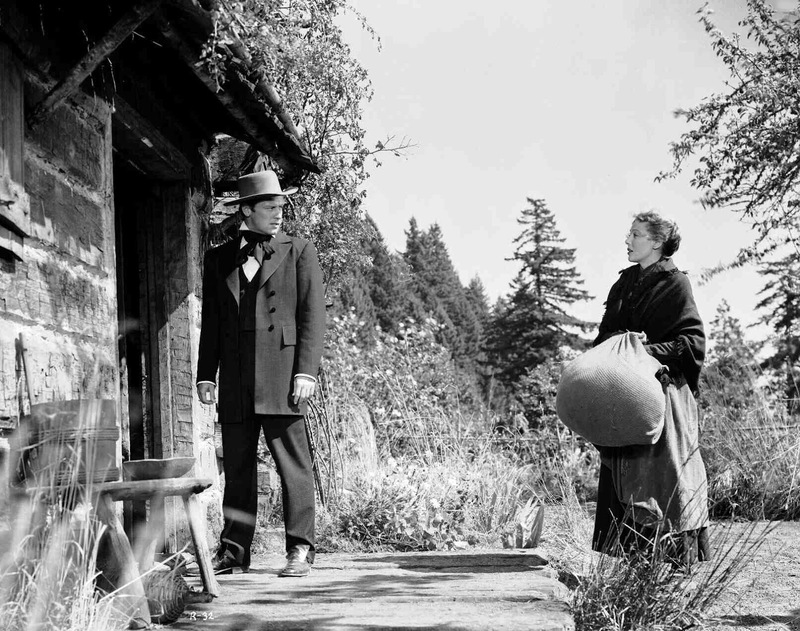 Flynn was always watchable at this stage of his career, and de Havilland makes an admirable Libby. 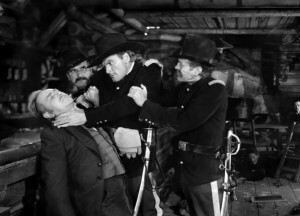 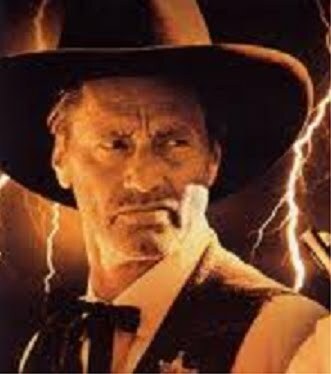 A young Arthur Kennedy is Ned Sharp, an unscrupulous Civil War nemesis of Custer and a later an unscrupulous sutler whom Custer tricks into dying with the Seventh Cavalry. 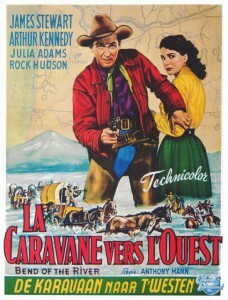 A young Anthony Quinn is Crazy Horse, who was never captured by Custer as this movie depicts. 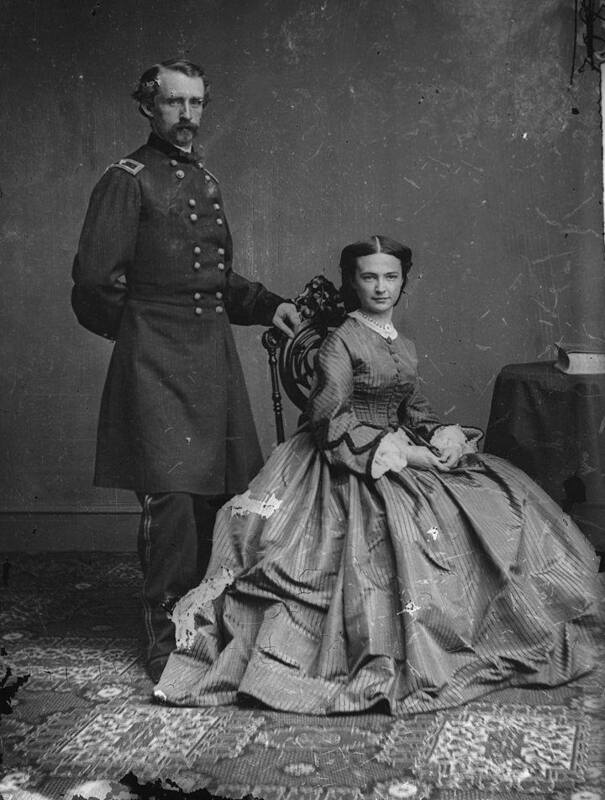 The plot points about Custer cleaning up Fort Lincoln and fighting a corrupt Indian agent-supply system are fiction. 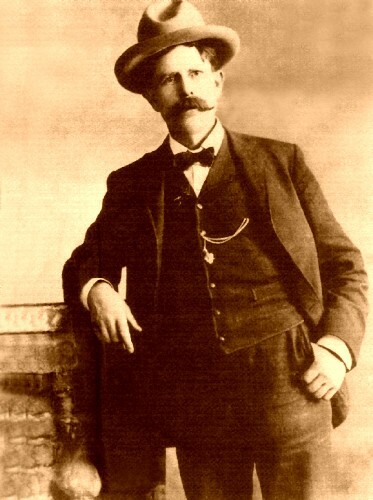 Here Custer fights supposedly fictional reports of gold in the Black Hills; actually, Custer led the expedition that first found gold there, and he abetted the influx of whites to the area instead of resisting it. The movie omits the massacre of peaceful Cheyennes that Custer carried out on the Washita. 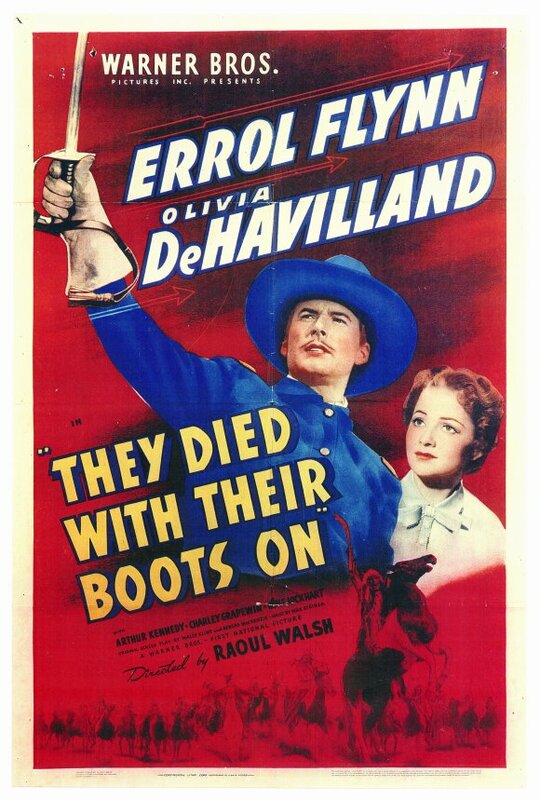 Worth watching for Flynn and de Havilland, and to get a sense of how Custer used to be seen 70 years ago after his widow had spent the 50 years after his death publicly tending the flame of his heroic memory. 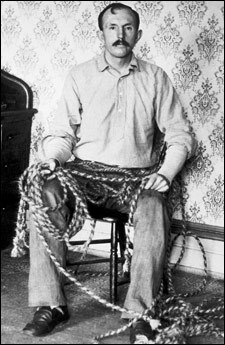 (The real Libby died in 1933.) The action is good. Well made for its time. Hattie McDaniel is what she usually was, a mammy-type domestic to young Libby—a stereotype that doesn’t play so well now. George Grapewin is California Joe, a crusty and colorful civilian scout for Custer. 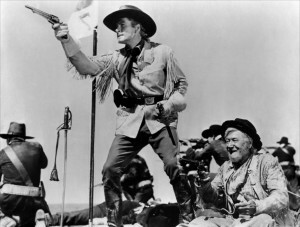 Sidney Greenstreet is Gen. Winfield Scott, who initially advances Custer’s career (although it seems unlikely the two ever really met and the elderly Scott played no active role in the Civil War). 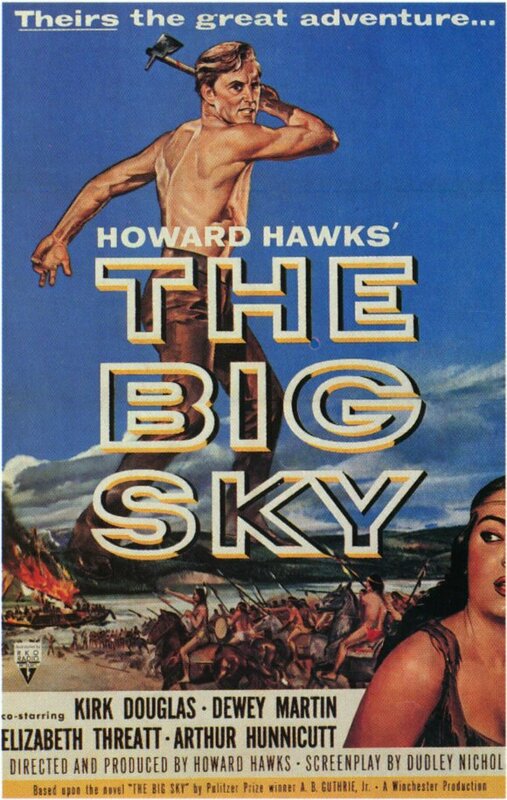 An aging Jim Thorpe was said to have been an uncredited extra on this movie, and he claimed to have decked a belligerent (and typically drunk) Flynn. Custer was as bad a student at West Point as this movie depicts, however. The depiction of Indians is fairly sympathetic for 1941. In colorful black and white. 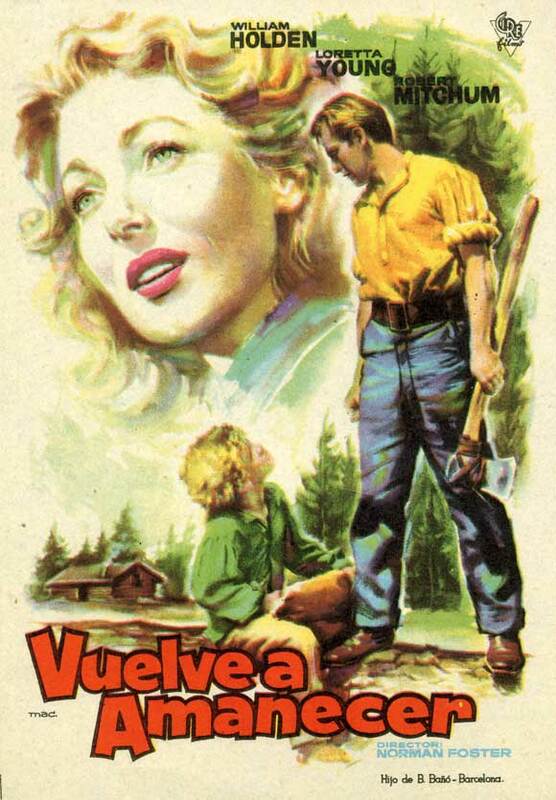 Music by Max Steiner. Raoul Walsh was a main-line director from 1913 into the 1960s, today remembered more for gangster movies (The Roaring Twenties, High Sierra, White Heat) than for westerns, although he made a number of those, too. 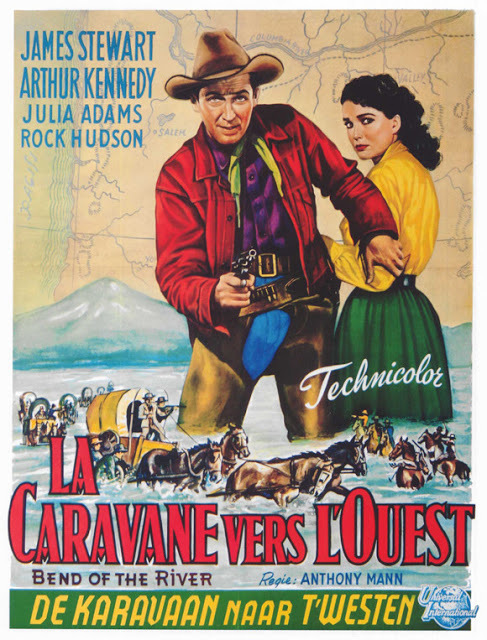 This one goes with his The Big Trail (1931, starring John Wayne in his first leading role) and Colorado Territory (1949, a remake of his High Sierra in an older western setting with Joel McCrea and Virginia Mayo) as eminently watchable examples of his work in westerns. 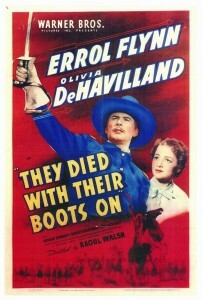 One of his earliest films was a quasi-documentary The Life of General Villa (1912 and 1914, both now lost), starring Villa himself. 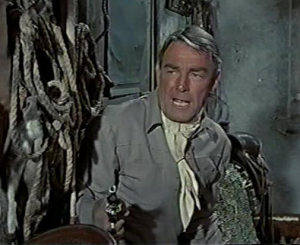 Walsh, who did some directing with Christy Cabanne, had a bit part playing Villa as a young man, although his career as an actor was largely over by 1915. 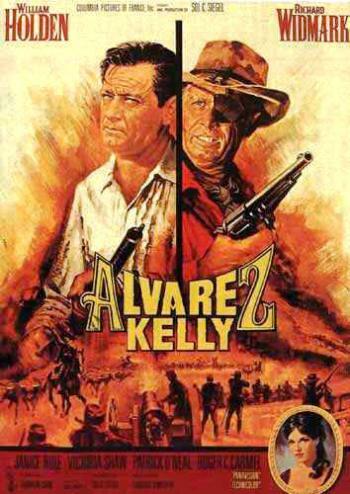 The Villa film was made when Walsh was only 19 and Villa was still regularly in the U.S. news in a positive way, two years before his attack on Columbus, New Mexico, provoked a punitive (and largely futile) expedition under Gen. Pershing. 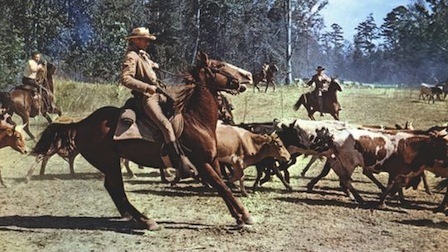 The film has apparently been lost, and its making became the subject of a 2003 HBO film And Starring Pancho Villa as Himself. This entry was posted in Westerns Worth Watching and tagged Anthony Quinn, Cavalry Westerns, Civil War, Custer, Errol Flynn, Native Americans (Indians), Raoul Walsh on November 26, 2013 by Nicholas Chennault.